Mitered and modular designs often make great portable or scrap yarn projects. Some of the patterns are joined as you go and some are knit separately and then pieced together into a large project later. Many of the patterns are free. This reversible square modular afghan is made from four striped garter stitch triangles that you join as you go while alternating two different colors of self striping cake yarn. Dimensions: About 30 x 30 in. (76x 76 cm). Designed by Irina Poludnenko. DK weight yarn. Also great for stashbusting! This colorful afghan by Michael Del Vecchio is enhanced by using self-striping yarn. Blanket size: 46in to 52in. Designed by Caron. Worsted weight yarn. Sandi Rosner’s mitred square blanket gets its dimensional effect from eyelets and three shades of yarn. This colorful afghan by Sandi Rosner is enhanced by using variegated yarn. From Classic Elite Yarns, a patchwork of diagonally knit, textured squares. This colorful log cabin blanket by Australian Country Spinners is made by making the log cabin squares then sewing them together with an added border. Better Homes and Garden’s easy baby blanket pattern is made of garter stitch mitred squares that are pieced in a knit quilt by picking up stitches. Knit squares are assembled to form this chevron zigzag pattern. This colorful afghan by Susan Levin is made of separate diamond pieces. Great stash buster! This blanket is constructed of four mitered squares that are mostly stockinette stitch with a few purl ridges for texture. Lisa R. Myers designed this mitered cowl to avoid striping or pooling of multiculor yarn. Features eyelet lace for interest. Made for multi-colored yarn! This blanket is one of the 6 patterns in the Timeless Baby Blankets book. 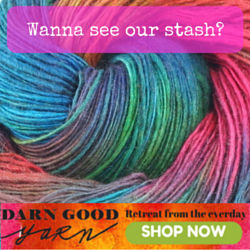 Great with multi-color yarn! This patchwork afghan is made from lace squares with a floral lace motif that are seamed together. Customizable to any size and easy to knit on the go. A combination of mitered squares and ombre yarn make a stunning cowl. Nancy Whitman’s modular garter stitch shawl uses decreases and a three needle bind off to create unusual mitered stripes. Gill Buckerfield’s cardigan is knitted one square at a time in garter stitch (all knit), picking up stitches to join the squares, very little sewing is needed. For chest sizes 24″ (61cm), 26″ (66cm) and 28″ (71cm).